Just last week Samsung launched its revamped Galaxy S series (Galaxy S10, Galaxy S10+, Galaxy S10e and Galaxy S10 5G) along with Galaxy Fold at its Unpacked Event. But Samsung is not yet done. 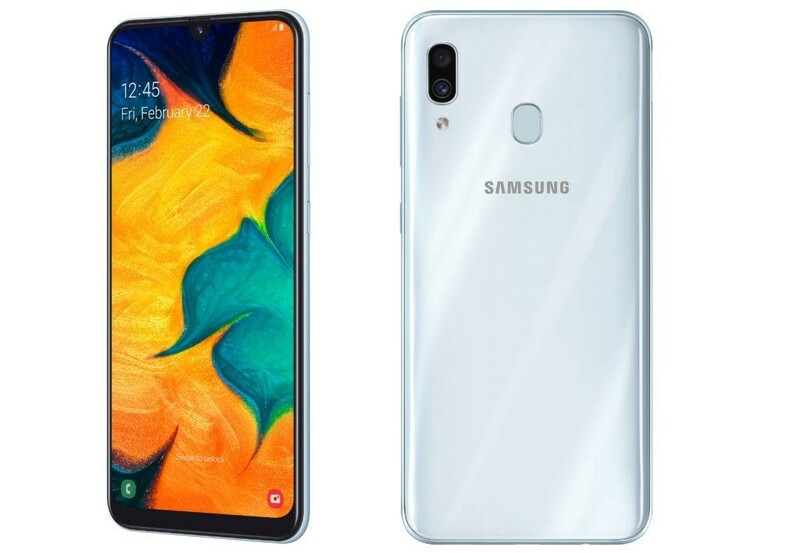 The South Korean tech giant has revamped its Galaxy A series by means of Galaxy A30 and Galaxy A50 at Mobile World Congress (MWC) 2019. The smartphones were subjected to several leaks and rumors in the recent past. They come with Infinity-U Super AMOLED screens with 4,000mAh battery. Both the models also include Samsung Pay. Samsung has not yet revealed the pricing details of the devices, but we need not have to wait for long as the company has rolled out media invites for a press event on February 28 in Mumbai, where it is expected to share pricing and launch details of both the phones. The Galaxy A30 sports 6.4-inch Super AMOLED display with full-HD+ resolution of 1,080 x 2,340 pixels and an Infinity U notch at the top which houses the selfie camera. The bezel around the display and on the sides are noticeably thin. The chin, however, is noticeable. The screen also features an in-display fingerprint sensor. Under the hood, the phone is powered by an octa-core 2.3GHz Exynos 9610 SoC with 4GB or 6GB of RAM. There are two options in terms of internal storage- 64GB and 128GB, which is expandable up to 512GB via a microSD card. In terms of optics, the phone is equipped with a vertically stacked triple a 25-megapixel primary sensor with f/1.7 aperture + a 5-megapixel sensor with f/2.2 aperture + an 8-megapixel sensor with f/2.2 aperture. The camera also supports Samsung’s Bixby AI vision. The front hosts a 25-megapixel selfie camera with f/2.0 aperture. All of this will be backed by a 4,000mAh capacity battery with fast charging support. It runs Android 9.0 Pie OS out of the box along with Samsung’s latest One UI. The Galaxy A30 also comes equipped with the same 6.4-inch FHD+ (1080×2340) Super AMOLED display with Infinity U notch and 19.5:9 aspect ratio. It is powered by the 1.8GHz Exynos 7904 SoC. In terms of storage, the phone gets two variants- 3GB RAM + 32GB inbuilt storage and 4GB RAM + 64GB inbuilt storage. The storage can be expanded further up to 512GB using a microSD card. In the camera department, you get a dual camera set up on the back instead of triple and it consists of a 16MP primary sensor with f/1.7 aperture + a 5MP ultra wide-angle sensor. On the front, there is a 16-megapixel sensor with a fixed-focus and f/2.2 aperture. The battery capacity of the phone is 4,000mAh and it also gets support for fast charging. In terms of software, the phone will be shipped with Samsung’s latest One UI based on Android 9.0 Pie OS. In terms of dimensions, the phone measures 158.5 x 74.7 x 7.7 mm. Both the devices will be available in at least three colour options: Black, White, and Blue. 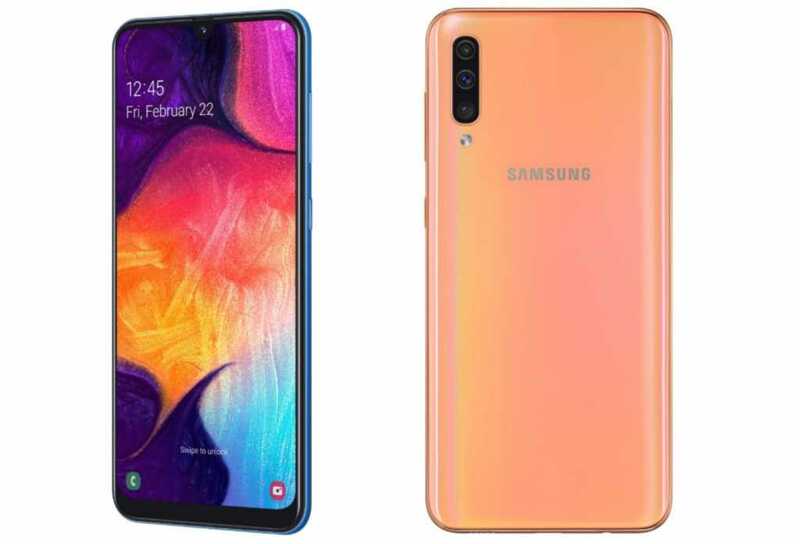 The Galaxy A50 will also come in Coral shade inspired by scattered light. As mentioned earlier, the pricing details in India will be known on February 28.